If you like Piña Coladas, getting caught in the rain.. if cheeseburger is paradise medium rare with mustard'd be nice! If you’ve ever checked out a Jimmy Buffet’s Margaritaville, you’ve likely seen Landshark, Margaritaville’s go-to lager. Now the Margaritaville beer is available in Canada at your local LC. 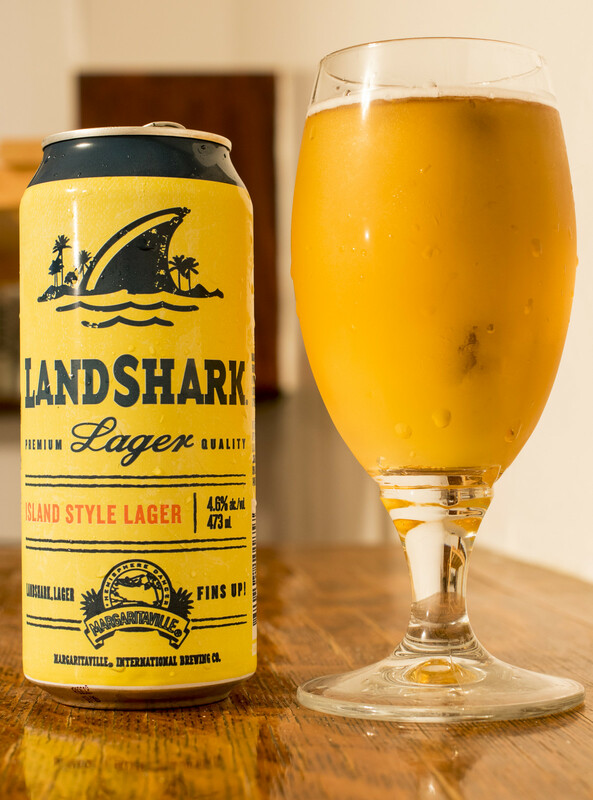 Landshark Lager is a tropical island-style lager brewed generally by Labatt owners Anheuser-Busch InBev, but for the Canadian market, Landshark Lager is actually brewed by Brick Brewing out of Waterloo, Ontario. How in the world Brick Brewing was able to get the Canadian rights for a beer brewed by the world’s largest beer conglomerate, I have no idea. It’s been incredibly humid lately, almost as bad as being in Quebec City, so a strong, crisp lager is very much appreciated. Brick’s Landshark Lager pours your typical crisp straw golden lager, clear as the sky, good amount of carbonation, minimal amount of light white foam that pops up on top just to settle on the side of the glassware. The aroma of Landshark is a very much malt based lager. It’s a sweet, caramel influenced grainy aroma, Notes of buttery store bought toast, typical scents of Canadian camping beers (Moosehead, Kokanee Gold, Labatt 50) pops out once in a while. The taste is very much described by yours truly as a grainy barley malt, sugar, grainy, at the farm lager with a moderate amount of hops to give it a bit of a grassy hop vibrance to it, not bitter as hell, yet present for those who still have their taste buds after drinking 80 two-fours of Bud Light. I wish I could have compared this to a can of Landshark right out of Minot, but I won’t be going to Minot until next week at the earliest, so there’s no comparison this week. For a lager, this is a much more malt-forwarded lager with notes of honey, gritty barley, memories of cleaning the grainery and a good hint of malt sweetness making this sweeter than Manitoba’s favourite beer, Bud Light. If you’re not so much a fan of lagers, Brick Brewing’s really well known in Westman for their Waterloo Grapefruit Radler, in fact.. it’s easily Westman’s most popular radler! If you love the taste of grapefruit juice and a hint of lager, you can find this summer time delight at Liquor Marts and vendors all over the province for $3.25 per 473mL can. 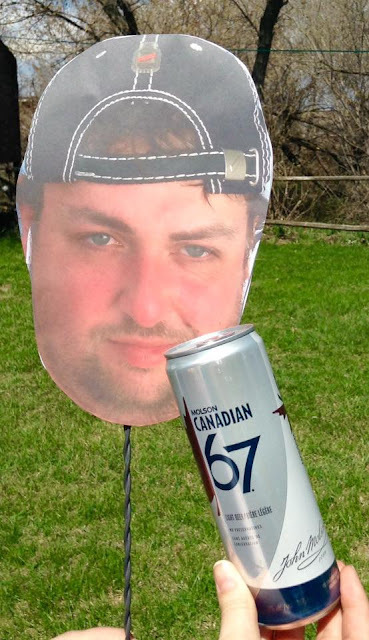 Actually, one thing I did forget, Beau’s Brewing is coming to Manitoba! Over the years I’ve seen people wearing Beau’s Brewing t-shirts over Westman, and of course - people were disappointed that Beau’s only ships their beer within a 300 mile radius. Within the next few weeks, Beaus’ All Organic Beer will be available here in Manitoba, making it the first time that Beau’s has shipped their beer outside of the 300 mile radius of the brewery, and not only that - they will be bringing many of their popular organic beers to the Wheat City! 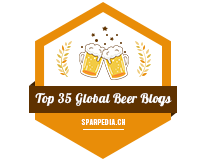 I’ll be reviewing their beer as soon as it’s available here!